Tuesday, October 30th – Church of Our Lady of the Assumption and St Gregory, Warwick Street, London: Vespers with Palestrina at 6pm, followed by talk and book-signing by Peter Kwasniewski. More on Peter's latest book here. Our annual pilgrimage to The Friars, the home of the Carmelites. The original friary was established in 1242, and was (probably) the site of St Simon Stock’s mystical vision of the scapular. Bought back by the Order from its secular owners in the 20th century, today the complex houses the Shrine which contains the Relics of St Simon Stock. Saturday, 27th October 2018. There will be a Sung Mass at 1.30pm in the Relic Chapel and the day concludes with Vespers and Benediction at 4pm. All the details are below. We'll have copies of Peter's most recent three books. On Saturday he will be at the LMS Pilgrimage to Aylesford. See here for more details. The canonization of Pope Paul VI raises the question of how the Papacy is viewed. The elevation to the Altars of the Church of Pope John XXIII, Pope Paul VI, and Pope John Paul II, seems a surprising legacy of the Second Vatican Council. The Pope’s triple crown has been locked up in a museum; his Noble Guard has been disbanded; the harmless fun of ostrich-feather fans at Papal Masses has ceased; and the Gestatoria has been retired. But something has come in instead: a process of canonization which increasingly seems to be the norm and not the exception for a deceased Pontiff. Many theological conservatives hoped that the canonization of Pope John Paul II would canonize, so to speak, his writings as Pope. It would surely be harder, they said, to ignore his fearless condemnation of abortion, contraception, and divorce, once his heroic sanctity was officially recognized. However, this has not come to pass. Pope Francis, who canonized him, seems to have made the keynote of his pontificate the minimization of John Paul II’s teaching in Familaris Consortio(1981) 84 that divorced Catholics in illicit second unions must not receive Holy Communion. It would be foolish to expect the canonization of Pope Paul VI to offer any extra protection or prestige for his condemnation of contraception in Humanae Vitae (1968), or indeed to the doctrinal orthodoxy defended with such vehemence in his Credo of the People of God (1968) and Mysterium Fidei (1965). The teaching of the Church, which Pope Paul reasserted in Evangelium Nuntiandi(1974) 5, that the preaching of the Gospel to unbelievers is of vital importance for their salvation, has long been unsayable. Over at the New Liturgical Movement, Gregory DiPippo passes on for English-speakers Italian-language reports of a scientific analysis of the relics (a full skeleton) of St Ambrose of Milan. 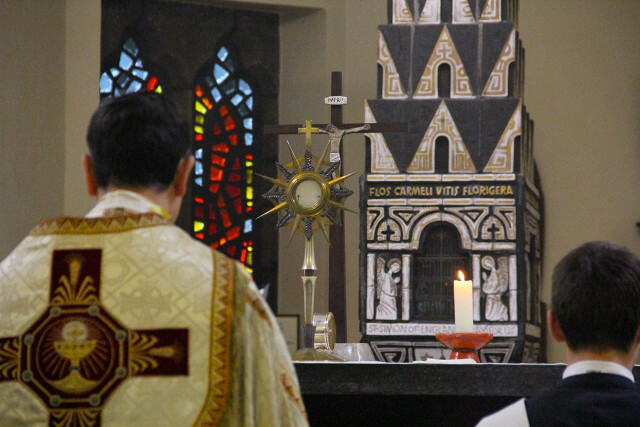 The Latin Mass Society held its annual Pilgrimage to Oxford last Saturday. In the 19th century a surprisingly broad cross-section of Anglicans incorporated into their thinking the notion of sacred space, leading to a new conception of what churches should be like: a conception which harked back to many old churches' Catholic past. 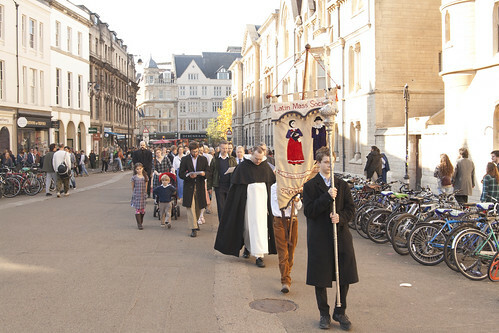 This conception of sacred space had a natural parallel in the idea of processions. This was also the historical moment when Catholic church-building and processions began to be largely untrammelled by legal restrictions, so Catholics, less surprisingly, were doing the same things at the same time. For about a century England saw an amazing number of these, and then they suddenly almost died out in the 1970s. Join us for the Latin Mass Society's annual pilgrimage in honour of Oxford's Catholic martyrs, particularly those of 1589 whose site of martyrdom, where 100 Holywell Street now stands, we will be visiting. Once a month the Newman Colloquium will be presenting a 'conversation' before an audience on a matter of Catholic interest. I am delighted to be part of this project and will be the interlocutor for some of our guest speakers. 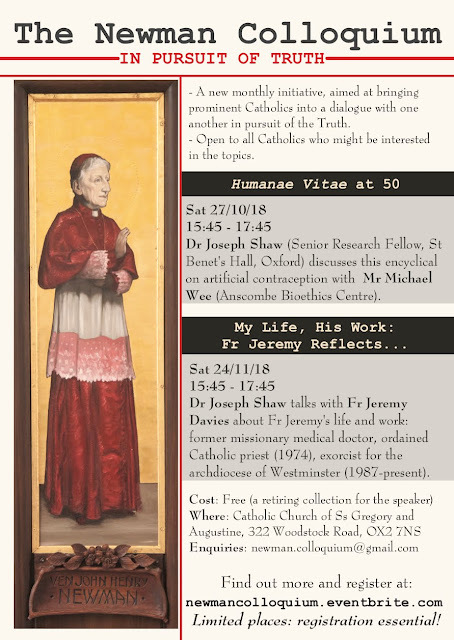 The first is the excellent Michael Wee of the Anscombe Centre, and we will be talking about 'Humanae Vitae at 50'. It will take place in the newly refurbished parish hall at SS Gregory & Augustine's, on Saturday 27th October, from 3:45pm. This is not an uncommon attitude, and it is not limited to Germany. 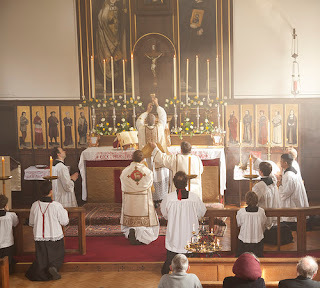 I have heard stories from the English seminary, St. Cuthbert’s College at Ushaw, now closed for lack of custom, that superiors were so concerned to root out conservatively-minded candidates for the priesthood that they would watch how they held their hands during Mass. If they folded them prayerfully, this went on the record as a mark against them. Seminarians would meet to say the Rosary in each others’ rooms, in secret, for fear this subversive activity would get them into trouble, and hide theology books by Joseph Ratzinger. This attitude seems to go beyond a simple matter of theological disagreement. Signs of conservatism are regarded as akin to signs of leprosy, and indeed, it is not uncommon to hear theological conservatism or traditionalism compared to mental illness. It should be said that this attitude is much less bad, at least in the English-speaking world, than it was a generation ago, but it has not gone away, and it is striking that a German bishop should embrace it so openly. Every now and then a closer or more distant blood relation of Britain’s Queen becomes a Catholic, and in doing so is removed from the "line of succession." This is one of the last legal remnants of a system of anti-Catholic discrimination which once saw Catholics banned from living in London and becoming army officers, long after the bloody persecution ended. It means that however unlikely it might have been in any case, swimming the Tiber washes off the theoretical possibility that you could become King or Queen of the United Kingdom of Great Britain and Northern Ireland. Recently, it was the turn of Princess Alexandra of Hanover, who at 19 has adopted the Catholic religion of her mother. Princess Alexandra is rather more closely related to the houses of Hanover and of Monaco than to Britain’s House of Windsor, and she probably gave this aspect of her conversion little thought. Somewhat closer to the British throne was Lord Nicholas Windsor, who was received into the Church in 2001; he gave an interview to LifeSiteNews in 2011. Catholics are excluded from the line of succession by the Act of Settlement of 1701; Britain’s monarch is, after all, the Supreme Governor of the Church of England. 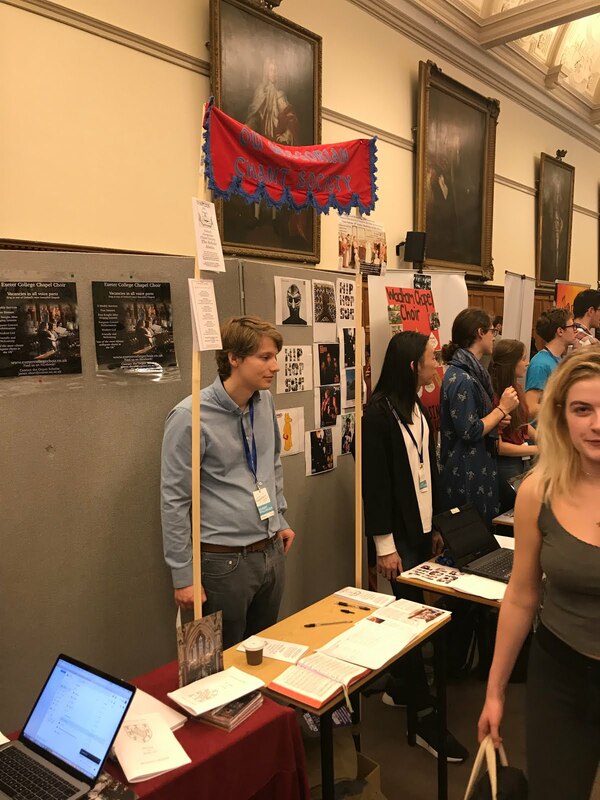 Catholics are the Act’s targets, because it was passed in the aftermath of the English Revolution of 1688 (called by its supporters the “Glorious” Revolution), which saw the overthrow of the Catholic King James II. The greater friendliness of his brother and predecessor King Charles II to Catholicism and to the leading Catholic power of the time, France, led to the anti-Catholic moral panic of the fraudulent Titus Oates plot. When the Catholic James II had a son, and so looked set to establish a Catholic monarchy for the foreseeable future, a group of powerful Protestant nobles staged a coup. This claim is explosive because following the election of Pope Francis, McCarrick was, as one journalist approvingly expressed, “back in the mix and busier than ever,” having been “more or less put out to pasture” by Pope Benedict. 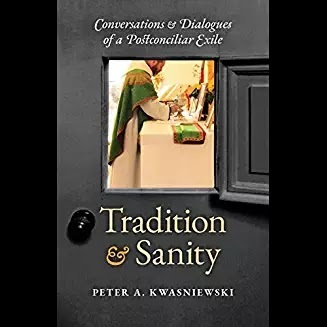 Tradition and Sanity: Conversations & Dialogues of a Postconciliar Exile. 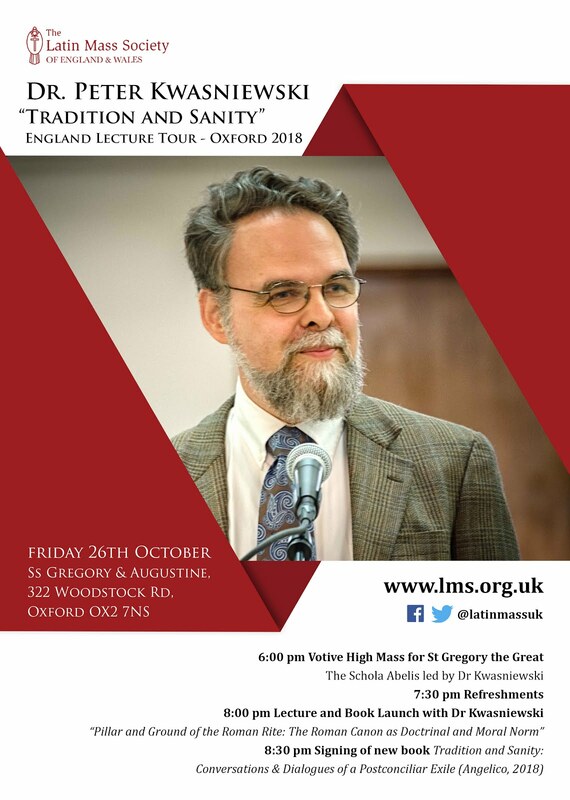 27th Oct, Saturday, Aylesford: LMS Pilgrimage to Aylesford, Mass at 1:30pm followed by talk from Prof. Kwasniewski. 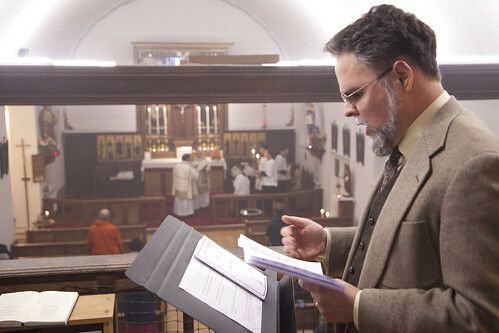 Mass will include the premier of a Mass setting by Prof Kwasniewski. 28th Oct, Sunday, Ramsgate: Sung Mass 12 noon, St Augustine's Shrine, Ramsgate, followed by talk and book signing. Mass will include a premier of a Mass setting by Prof Kwasniewski. 28th Oct, Sunday, South Woodford: High Mass 6pm, Church of St Anne Line, South Woodford, London, followed by talk and book signing. 30th Oct, Tuesday, London: 6pm Sung Vespers, Our Lady of the Assumption, Warwick Street, followed by book launch. This book isn't even available yet, but it will be on sale at the various events organised for him by the Latin Mass Society, at Oxford, Aylesford Priory, Ramsgate, South Woodford and Warwick Street in London. 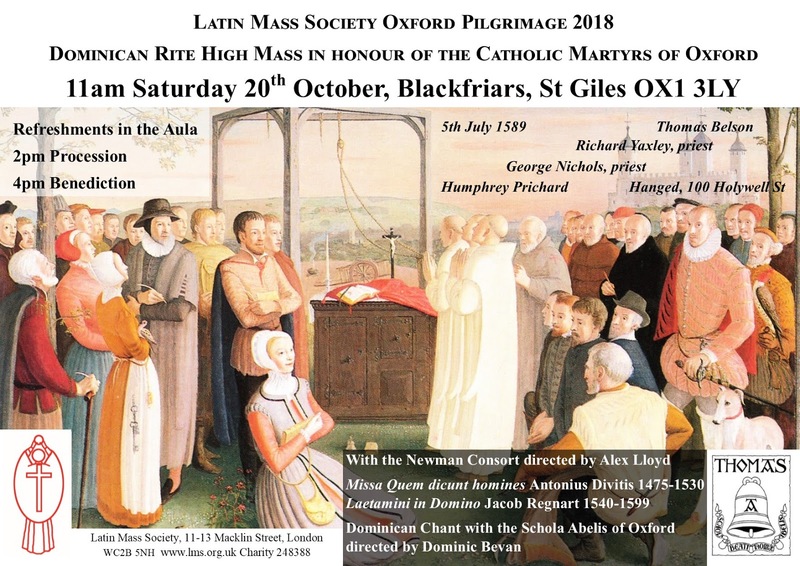 As part of the tour, two new choral compositions will receive their world premieres by the ensemble Cantus Magnus, under the direction of Matthew Schellhorn: a motet “Ego Mater Pulchrae Dilectionis” (SATB) on October 27th at the LMS Pilgrimage to Aylesford, and the Missa Rex in Æternum (ATB) on October 28th in Ramsgate; these will be joined by three UK premieres of other motets. From their rebirth in Christ, there exists among all the Christian faithful a true equality regarding dignity and action by which they all cooperate in the building up of the Body of Christ according to each one’s own condition and function. 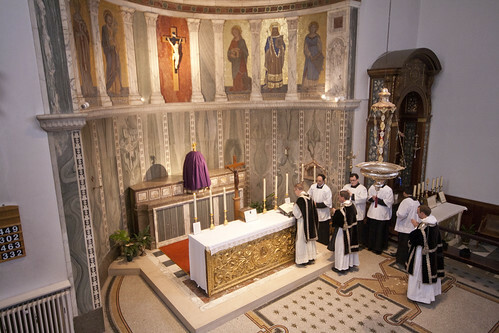 The laity must take up the restoration of the temporal order (ordo temporalis) as their own special task. Led by the light of the Gospel and the mind of the Church and motivated by Christian charity, they must act directly and in a definite way in the temporal sphere. As the Decree goes on to detail, this can be done in the context of family, professional, and political life. What this suggests, along with the traditional teaching of the Church on the “two swords,” the division of labor in the Christian society between Pope and Emperor, is that bishops and clergy as such should not seek to direct in detail the work of Catholic statesmen, academics and teachers, and parents. It is given to the clergy, and above all to bishops, to judge according to the moral law, but judgment on matters of prudence — scientific judgment, educational judgment, political judgement, and so on — is the special gift and duty of the lay state. LifeSiteNews has published a short piece of mine on the Prayer to St Michael, reflecting on the renewed used of the Prayer to St Michael by in six dioceses of the United States of America, in the context of the abuse crisis. A monumental struggle against the powers of darkness pervades the whole history of man. The battle was joined from the very origins of the world and will continue until the last day, as the Lord has attested. 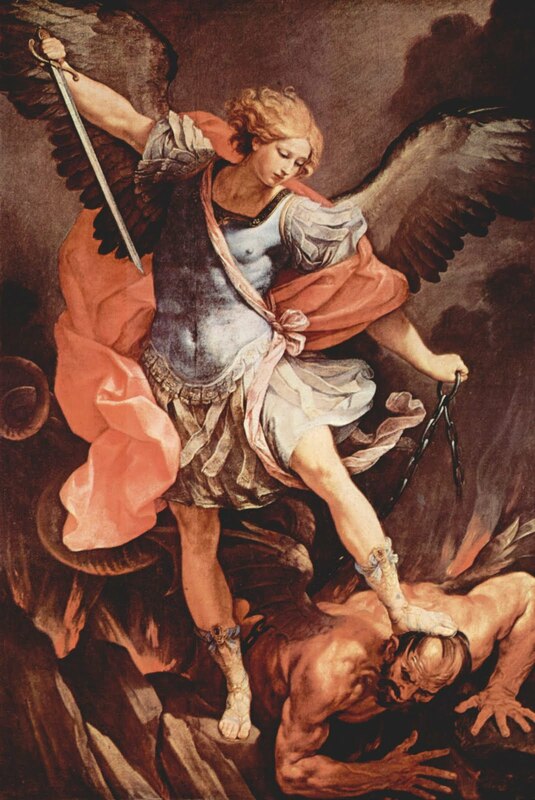 This is exactly what the Prayer to St. Michael reflects. Why did it ever disappear from use? Last weekend the Catholic Herald published a letter of mine on the Death Penalty. Greg Whelan (Letters, 14th Sept) claims to be ‘mystified’ by the widespread concern of Pope Francis’ reversal of the teaching of the Church on the subject of the Death Penalty. He reminds us that the Church has ‘changed its mind’ about the best punishment for various offences. However this is hardly the matter at issue. The crimes he mentions, such as fornication, are still condemned by the Church as grave sins. What Pope Francis appears to be claiming is the discovery of a new grave sin, that of using the death penalty, even when it might be considered most appropriate. The penal code found in the Old Testament was in force only for a specific group of people for a specific period of time. Other times and circumstances require other legal solutions. It is preserved for us in Scripture, however, because it teaches us about the seriousness of the crimes it condemns and the importance of the search for justice. Among other things, as St Paul reiterates (Rom13:4), it makes clear that the Death Penalty can rightly be used.